My name is Tony Cook. 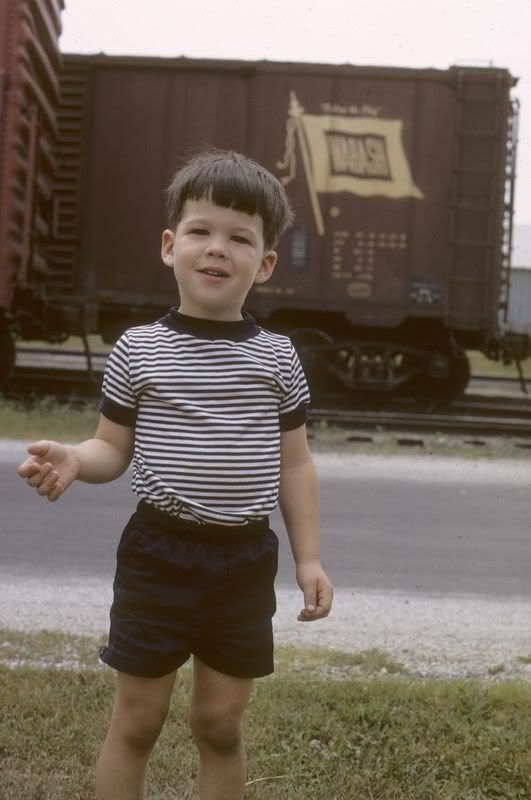 My interest in trains began about the same time I learned to walk and talk. I grew up in the midwestern section of the United States. Many a weekend was spent watching real trains in places like Peoria and Springfield, Illinois and St. Louis, Missouri; while taking time out to visit local hobby shops and survey the model trains. My favorite railroads include the Rio Grande; TP&W; Rock Island; Missouri Pacific; GM&O; and the Illinois Central. Each year our annual summer vacation would usually take us to Colorado and watching trains on the Rio Grande. I rode the Rio Grande Zephyr from Glenwood Springs to Denver, Colorado in 1978 and Denver to Glenwood Springs in 1979. Both trips were enjoyed in one of Rio Grande's Budd Dome Cars. The '79 trip was spent in the front seat of Silver Sky, Rio Grande's Dome-Observation on the RGZ. The summer trips also included the occasional run across Nebraska on old US-30 following the Union Pacific and seeing such sights as the giant DDA40X Centennial Diesels in the late '70s. With few exceptions, my model train focus has been and continues to be HO-scale 1/87 trains. One of my first Christmas train sets was a TYCO F-9 custom-painted 'Gulf Mobile and Ohio' by father around 1970. Growing up in the 1970s, I would spend countless hours cruising through the many colorful catalogs of trains from companies like Bachmann, Life-Like, Lionel-HO and especially TYCO. Thanks to swap meets and eBay, I have been able to obtain many of the train items I only used to oggle in catalogs. One favorite TYCO related memories for me was meeting the great-grandson of Mantua-TYCO founder John Tyler. Mr. Tyler was representing his family's company at the Chicago hobby trade show in 2000. The Mantua catalog he handed me that year turned out to be not only the 75th Anniversary edition, but Mantua's last. Yes, I should have asked for an autograph...or would that be too geeky? In addition to my TYCO toy trains, I enjoy serious prototypical modeling. In 2004, I spent a week's vacation constructing a train layout in my home. This is the first permanent train layout I have owned since the early 1980s and I've really enjoyed putting it together and making it operate. I've also built and operated an outdoor "garden" HO-scale train in my backyard. Besides TYCO, I also enjoy collecting AHM, Bachmann, Cox, Life-Like, Lionel-HO, Pemco and other HO-scale ready-to-run product lines of the 1970s. With respect to operating model trains, I enjoy Athearn, Atlas, Bachmann Spectrum, BLMA, Bowser-Stewart, Broadway Limited, ExactRail, Fox Valley, InterMountain, MTH Trains, Kato, Walthers Proto. That's Weird! The steps aren't filled-in and the couplers look funny and aren't attached to the trucks! -your website author, Tony Cook, comparing TYCO box cars with those operated by the prototype railroads back in October 1970. 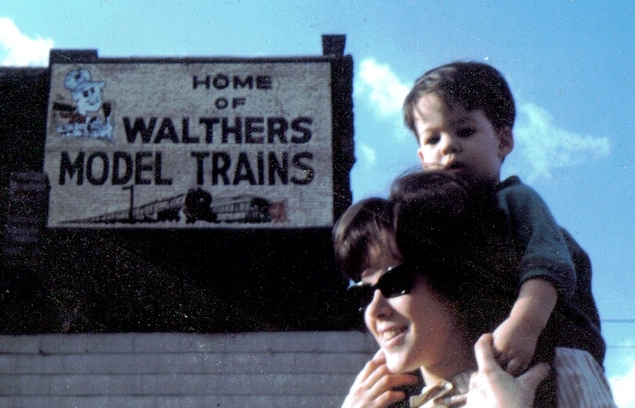 If you enjoyed your visit to The TYCO Trains Resource, then you need to thank my Dad! This site is dedicated to my father, Terry Cook, for sparking my interest in the great hobby of model railroading. I also must thank him for his patience and understanding of my interest in toy trains like TYCO. My father also serves as an excellent resource for prototype information for this site and my others.